Craft D Cave: The end of a great weekend. The end of a great weekend. is beside her wonderful husband, Larry and their daughter, Jessica is holding craftDbear. 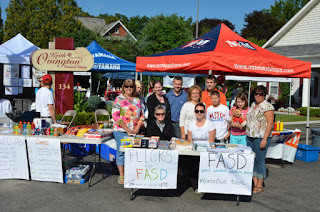 The support today for FASD rocked the town of Burford. Woohoo! and thank you to all. This will be a yearly event so please join us next year. 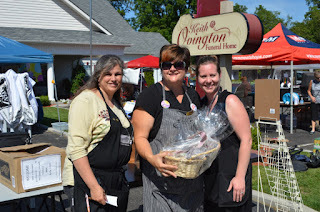 Don't forget that this weekend coming our Stampin' Up! booth will be at Applefest in St. George. are just some of the many delights in our booth.